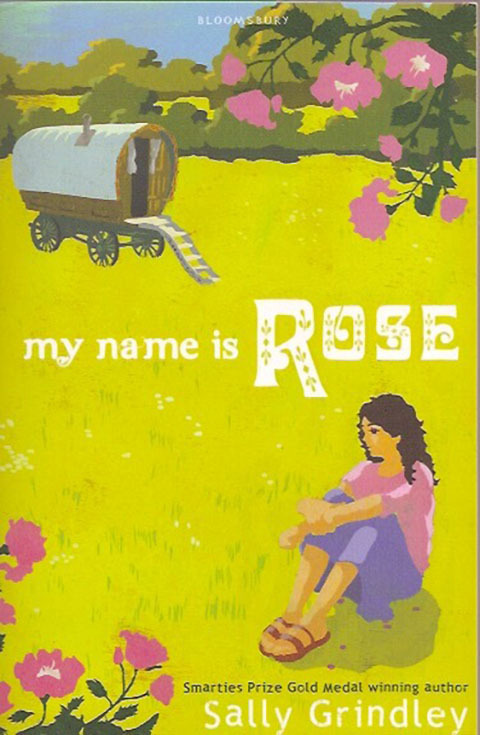 I picked up a book about the lives of Roma gypsies and found it fascinating, and so this story about Rose came to be. 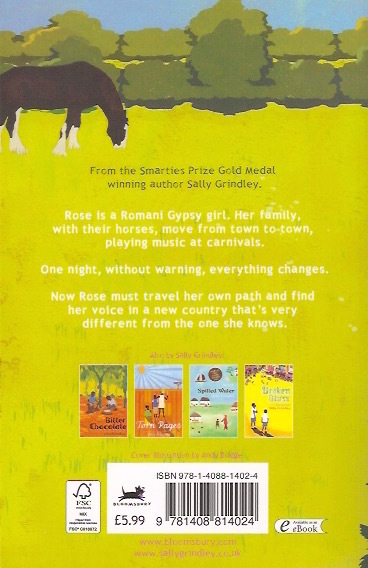 Rose is a young Romani gypsy girl who travels around Romania and Europe in a caravan with her musical family. Her life is happy, until she is orphaned after a dreadful accident. This is the beginning of many changes for Rose as she is forced to adapt to life in another country and with a new, dysfunctional family. The shock of losing her family and being uprooted from her own traditions and life-style cause Rose to lose her power of speech, and for the major part of the book she doesn’t say a word. As an author, it was certainly a challenge to sustain that! 1) Life on the road for authentic Roma people. 3) Grief, trauma and repercussions. 4) Selective mutism and reasons for. 5) Estrangement and adapting to life in a foreign country. 6) The power of music to mend. 7) Child exploitation and abuse. 8) Family dysfunctionality and the affect on childhood. 9) Child resilience in the face of tragedy and abuse. 1) Rose – orphaned, tragic, but determined to the end. 2) Mrs Luca – flawed and selfish, with her own baggage of tragedy and abuse. 3) Marina – the power of friendship. 4) Mr Luca – heartless and immoral? 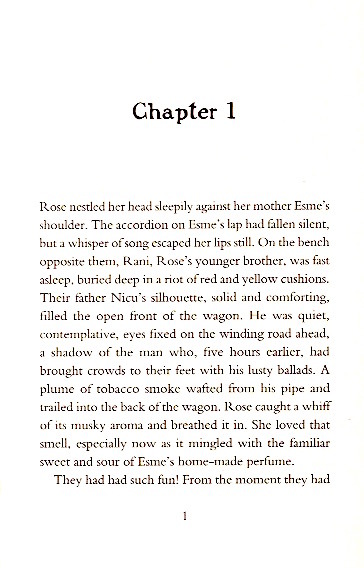 5) Esme – an ever-present warm, comforting memory. 6) Victoria – a damaged child.